Transportation systems require high levels of security and reliability. Ursalink routers enable innovative traffic management systems by delivering the communication necessary between devices and assets to a centralized traffic management application. 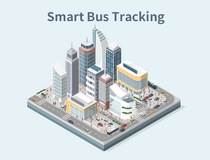 IPTS is aim to control public transportation networks, to maintain their performance, and to provide users (passengers and decision makers) with up-to-date information about trips and network operating conditions. IoT-based fleet management is emerged as an optimization of costs and efficiency in fleet operations. Customers can rely on fleet managers to control costs, maximize profitability, and mitigate risks of their fleet vehicles with Ursalink industrial cellular router.